The Dutch Republic originated from a demand for religious and economic liberty and an escape from tyrannical rule. The war fought for its independence from the Spanish Empire resulted in the Treaty of Westphalia (1648), which ended nearly a century of religious warfare and established freedom of religion in Western Europe. The Act of Abjuration was the Dutch "declaration of independence". Unlike the American document, which was inspired by and followed in its mold, it explicitly stated the need for a new king to be found for the nation. The document instead declares that the throne, which rules the Netherlands, was, in fact, vacant due to the abuses of the previous monarch. The belief was that while subjects had a positive obligation to obey the laws and pay the taxes of their ruler, in turn the ruler must provide military protection, equal protection of the law, and just taxation. 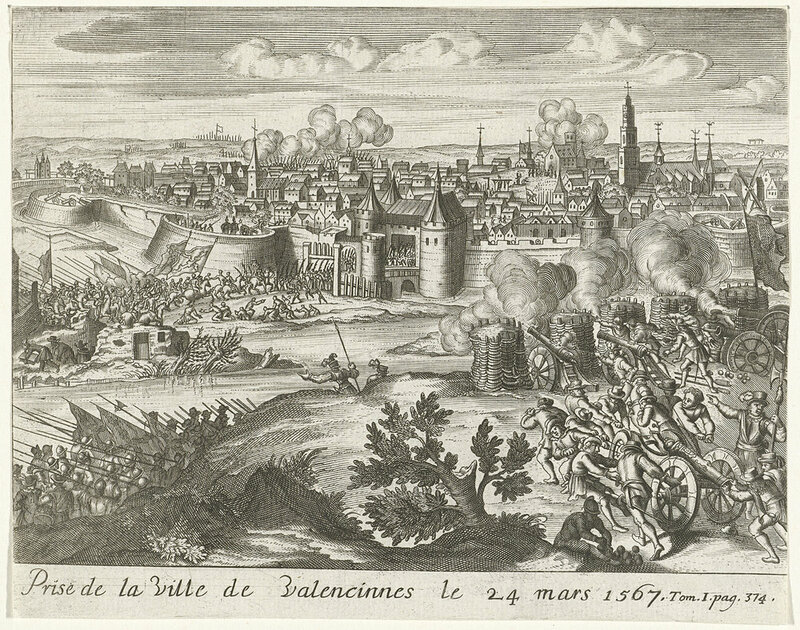 In this view, the Dutch people saw themselves as renters to the king's property, in which he had so neglected and abused, that they declared he was no longer the owner--as his inheritance had depended on an oath and affirmation of the protection of the life, liberty, and property of the people who resided within his domain. Introduction of the Spanish Inquisition, the seizure of Protestant property, the execution and persecution of protestants, and high taxes reduced the Dutch to poverty and hopelessness under the rule of Phillip II. At first, the Dutch did not consider forming a republic; rather they attempted to offer the throne of the Netherlands to various protestant Kings and Queens including those of Prussia and England. They were able to secure the support of the former Viceroy of Spain to the Netherlands, who had governed the provinces of the Netherlands in name only, as Phillip II centralized power. His estate was that of the Southern France principality of Orange. William the First, Prince of Orange, was assassinated and unable to assume the throne. The Queen of England proposed that the Netherlands would become a protectorate of England, but that she would not assume its throne. So, the Dutch, left with an assassinated Prince, chose instead to form a republic. In this republic, the successors of the House of Orange-Nassau would be elected to the office of stadtholder and eventually the hereditary nature of the office gave way to a formal legal constitutional monarchy in 1747.